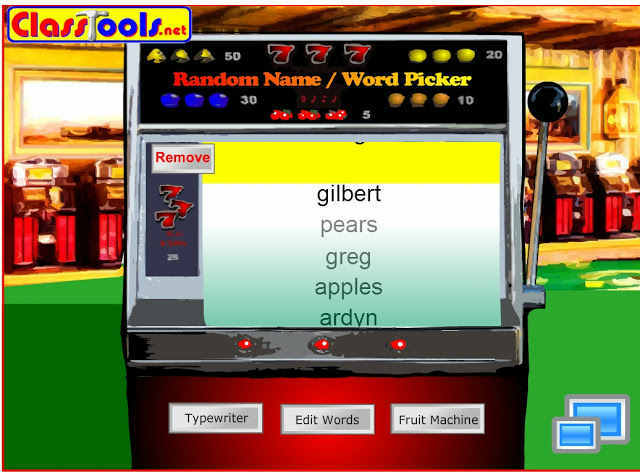 Recently I used my favorite online tool - the "Random Name Picker" from Classtools.net to spice up a lesson with more speaking. This is a SUPER EASY and almost NO PREP method of getting EVERYONE in the class to speak at some point. Okay, so first things first, go to the Random Name Picker page and click the 'Edit/Save' link. It will let you input a list of names for the spinning wheel. I put in my student's names in between classes - took me 2 minutes. If you don't know their names, have them come into class and ask how to spell their names. Simple. Next, before class comes in - write a dialogue on the board for your students to practice - have 2 characters. Now, we were studying the phone conversation topic. "Hello? Can I Speak To Jinu, Please?" so it worked perfectly. So after filling the wheel in and having the dialogue written up - get the class to read aloud the dialogue altogether at the start of class. Spin the wheel twice after, picking two names. Those two names are the first pair to perform the dialogue in the class. They should stand up and read it. I left blanks in my dialogue for them to fill in while speaking - good for comprehension checking. Now, I didn't do this all in one go. I did about 2 pairs speaking first, then did an activity in the textbook. 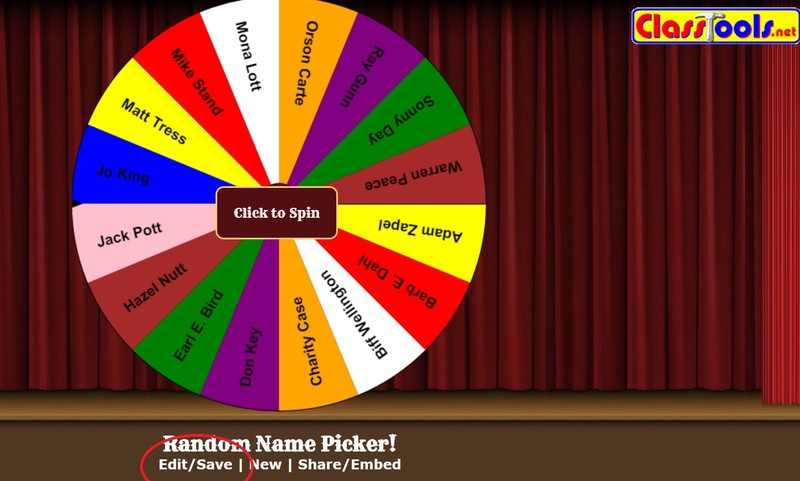 Then spun the wheel again, did another textbook activity and so on. That way the class moves through some textbook activities and then this is a nice break between them. It also gives them a chance to breathe a bit - esp if they're the shy ones. Lessens the nerves a bit if it's not done all at once. My students actually really enjoyed it. Some wanted to go again. The spinning of the wheel is completely at random and it makes a ticking noise as well as an applause sound effect when the name is picked. My students really enjoyed the suspense. I'll also bring this bad boy up anytime I want to practice some more speaking! It's an alternative way to the textbook and everyone in class had a go. The very last person did it all on her own in one class as there were no more pairs - and she was quite excited to show off her skills! I think if I do this often in each topic, the class will be more prepared to speak. It's definitely in my teaching arsenal from now on! Hope you can try this out with your students soon :) Let me know how it goes. By the way, I just discovered they have a different template that works the same as the wheel. It's called the Fruit Machine - looks like a gambling machine at a casino.